A new trend in education allows students to attend school through robots, when being physically present becomes too difficult. But that same technology is offering benefits on the teaching side, too. The Kodiak Island Borough School District, in Alaska, lies about 250 miles southwest of Anchorage. It's rural; there are many bears. 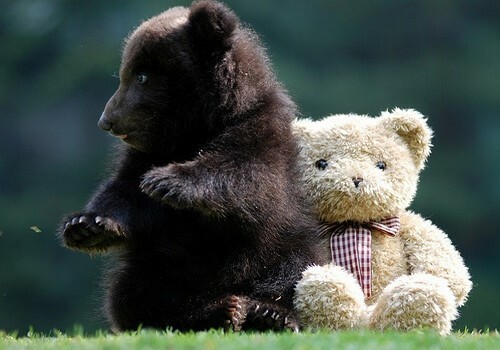 And whether for weather or distance or aforementioned bears (adorable, adorable bears! ), many students take remote classes, and many teachers instruct remotely, too. Enter the telepresence robot, which is a generous way of describing an iPad stuck on an imitation Segway. Kodiak Superintendent Steward McDonald recently bought 12 of them after watching them in action at a conference for the Association of Alaska School Boards, according to the Associated Press. The district is getting another six on loan. The robots will serve dual roles, by allowing remote teachers to interact with their classes in a more effective manner, as well as letting students taking online classes to better interact with those students in the town. "There are a few times that I've had to pick up the phone and make the secretary run all over the school to hunt a student down," she said. "Even then the student can hang up on me, whereas if I have the robot, I can chase them around the school if I needed to, to say, 'what's going on with this assignment?'" The robots altogether cost $24,000, but the district hopes to recoup some of that cost through a long-term decrease in travel expenses. Telepresence robots are becoming a big deal throughout all sectors, finding popularity among districts and CEOs alike. It's one more way to make sure that students who stay home don't miss out on valuable instruction time. Because that would be unbearable.